This netting is the ideal cover for your game bird run. It is made of very tough olefin fibers and will last a minimum of five years without rust or mildew. 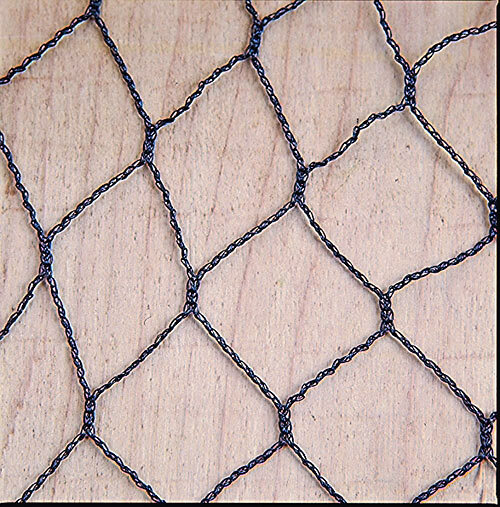 The 2” mesh is very economical, has a strength of 65 lbs. per mesh, and is ideal for the tops of pens. The 1” mesh has a strength of 30 lbs. per mesh.It is ideal for use where ice and snow loads are not a big problem. It is designed for use with smaller birds and brooder pens but is not recommended for the sides of the pens because rodents or predators can chew through it. Either can be easily fastened together with hog rings, staples, or nails. 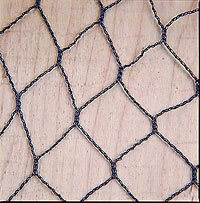 This netting has been sold for many other uses and is ideal for tennis courts and ball diamonds. Comes in 25’ or 50’ widths and 150’ lengths.